↑ Kranzler, G. (1995). 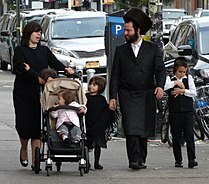 The economic revitalization of the Hasidic community of Williamsburg. New World Hasidim: Ethnographic Studies of Hasidic Jews in America, 181-204. ↑ Keren-Kratz, M. (2016). 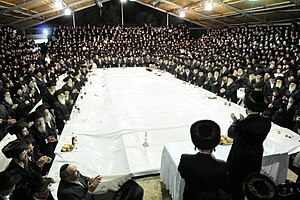 Westernization and Israelization within Israel’s extreme Orthodox Haredi society. ↑ Fader, A. (2001). Literacy, bilingualism, and gender in a Hasidic community. Linguistics and Education, 12(3), 261-283. ↑ Bronner, L. L. (1993). From veil to wig: Jewish women's hair covering. Judaism, 42(4), 465. หน้านี้แก้ไขล่าสุดเมื่อวันที่ 30 กรกฎาคม 2561 เวลา 10:52 น.